If you’re stumped about where to go for your winter getaway, you should consider Rocky Point, Mexico. Rocky Point, which is also known as Puerto Penasco, is located on the Sea of Cortez. It’s just a few hours away from Tucson and not much farther from Phoenix. As a result, many Americans drive down there for much-needed vacations. To get there without any trouble, you need to buy Mexican auto insurance for Rocky Point at Mexican Insurance Store.com before hitting the road. As reasonable as it may sound, you shouldn’t buy Mexican insurance for Rocky Point at the border. Learn more about buying Mexican car insurance for Rocky Point and planning a trip down there below. Buying Mexican auto insurance for Rocky Point online is vital if you wish to repair your vehicle in the US. Many border policies REQUIRE repair in Mexico. People who get into car wrecks without Mexican car insurance for Rocky Point go to jail, so you need to make sure to line up this coverage before you head down there. The best way to get high-quality insurance is by going online. You’ll be able to get a quote to see what your best options are. After choosing and purchasing a policy, you’ll be able to print it out. Your drive to Rocky Point will be faster because you won’t have to stop to buy Mexican auto insurance for Rocky Point from one of those shacks at the border. The drive to Rocky Point couldn’t be easier. Once you get to the Lukeville-Sonoita border crossing, all you have to do is follow the signs for Puerto Penasco. It doesn’t hurt to have a map handy, and it’s even better if you can use a GPS too. Still, the route is fairly simple. Pay attention to avoid veering the wrong way, which is somewhat easy to do. 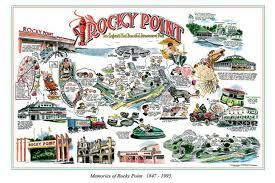 You’ll arrive in Rocky Point in no time. If you think you have to spend a fortune to enjoy a fun wintertime getaway, think again. By heading to Rocky Point, you’ll be able to have fun in the sun without going broke. By driving down there, you’ll avoid the hassle and expense of flying. Hotels in Rocky Point tend to be quite affordable. There are also RV parks. If you have an RV, you could drive it down and save even more money. Whatever you decide to do, you’re sure to have a blast. Everyone wants to save their hard earned money and if you can get it in the shape of cheaper Mexican auto insurance it is even more worthwhile. I say go for it. Previous post: A Mexican car insurance policy and Exploring Mexico’s Ruins! Next post: Save When Exchanging Money or Buying Mexican Insurance Policies in Mexico!